ISPs have once again embarked on a campaign of war against communities and their efforts to create faster broadband networks. America, take note. This could be your community next. The battle of the moment is in Longmont, Colo. where Comcast (S cmcsa) and its allies are spending big to halt a November 8 1 ballot measure that allows residents and businesses in Longmont to consider options for bringing broadband to their community. It’s part of a pattern seen in many places when communities take broadband matters into their own hands after incumbents refuse to deliver the services communities want. If Comcast wins, Longmont citizens lose. The city won’t be able to even explore public-private partnerships, public ownership or any other business model that could put them on par with Chattanooga, Santa Monica, Calif. and the many muni broadband networks nationwide. Longmont’s ballot fight is actually a drama in two acts. 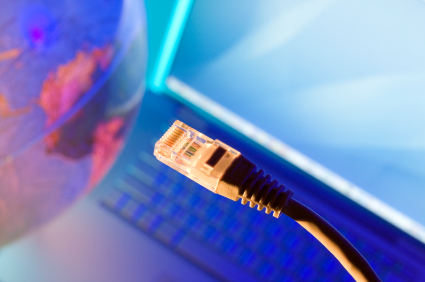 In 2009, Longmont put an initiative on the ballot to consider a community broadband network. A telco-backed state law in Colorado passed in 2005 mandates that communities hold a referendum before they can embark on any plans for community broadband. What may seem like a simple matter of putting democracy into action actually corrupts the democratic process. The local election becomes a corporation-fueled battle at the ballot box where incumbents can outspend and out-market the community effort. That worked in Longmont two years ago. At that time Comcast, via an astroturf group known as No Blank Check, spent $250,000 to spread an assortment of half-truths, fear, uncertainty and doubt about community broadband in general and Longmont’s intent in particular. For example, the group’s most frequent distortion of facts is that all muni networks are failures, a myth clearly dispelled by this map of 130 successful community networks, some of which have been operating since the 1990s. The City of Longmont (its Mayor, City Council, City CIO, etc.) by law are severely limited in speaking about the ballot initiative, so voters mostly saw just one side of the issue. Fast forward to 2011. The citizens of Longmont are much wiser and more determined than ever to expose and refute opponents’ untruths, and take back their right to determine what is best for their connected future. Hence, Ballot Question 2A: “Without increasing taxes, shall the citizens of the City of Longmont, Colorado, re-establish their City’s right to provide all services restricted since 2005 by Title 29, article 27 of the Colorado Revised Statutes….” (read the rest of the referendum). Businesses and individuals are rallying behind the referendum, with an endorsement and strong show of active support from the Longmont Area Economic Council. Before tackling opponents’ false statements, communities have to get to the source that fuels opponents’ campaign activities. So far, Comcast’s astroturf ally, Look Before We Leap, has spent $239,000 for what amounts to buying votes in a town that only has 63,000 people old enough to cast one, and there are three weeks left until the election. Colorado Cable Telecommunications Association – 3 members of Board of Directors, and the VP, are all Comcast executives. Tonight’s candidate debates at Silver Creek High School were instructive in more than a few ways. First of all, the good folks from Look Before We Leap – which does not advertise its backers – were happy to tell me where they were from. “Denver,” said one, and “Boulder”, said the other. By the way – they packed up and left early. I guess they had a longer drive. They were also happy to tell us where the money was coming from: Comcast. “Is Comcast behind your group?” Vince Jordan asked. “Yes, they are one of our backers,” came the reply. These are the same two guys who made such a spectacularly underwhelming attack on 2A at a recent Longmont City Council meeting. Why should Longmont’s battle matter to the average American? First, do people really want their hometown’s future governed by giant telecom and cable corporations whose executives (and profits) do not reside in the communities they are crippling? A recent national survey of economic development professionals points to the various economic impacts broadband can have on local economies. This is what Longmont and other communities can miss out on if Comcast, Time Warner, (s twc) and others are allowed to buy local votes and state legislators in order to get anti-muni network laws passed. Second, the core of the problem with broadband (or the lack thereof) in U.S. communities is the lack of competition. Incumbents do not want it, they fear it and they have a rabid Pavlovian response to kill anything that even hints of competition. As the FCC marches toward whatever eventually becomes Universal Service Fund (USF) reform, communities need to keep their fingers crossed – or better, aggressively lobby the FCC for – reform that makes it easier for communities like Longmont to insert competition into the mix. Longmont is important because a win here is one more step toward a more competitive broadband world. And with that, we all win. 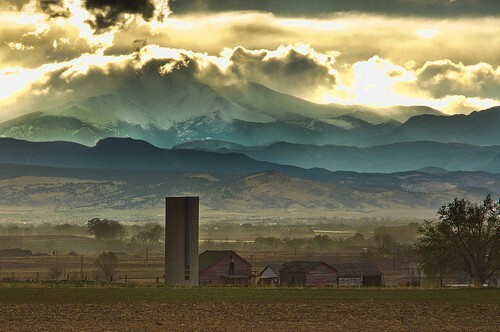 Longmont farm image courtesy of Flickr user SteveB in Denver. 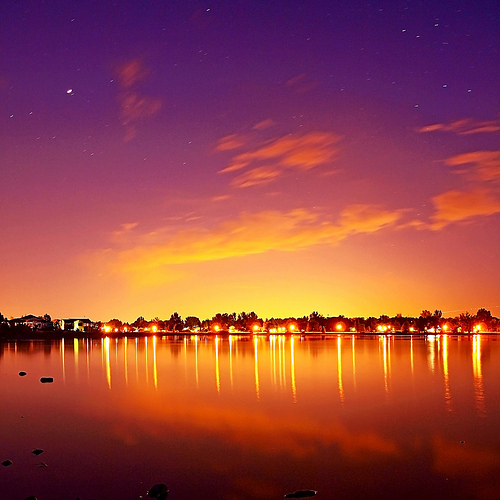 Longmont lake image courtesy of Flickr user Bryce Bradford. Craig Settles is a municipal broadband expert and host of the Gigabit Nation radio show. and gets the broad band for the community .As citizens we have put up with the likes of Comcast And Time Warner and a few others for to long. you would need to create a new connection, if you are using a wireless connection at home and your laptop is wireless enabled, you would need to search for the network and connect to it. if it is a wired connection then you may need to install the software that came with the broadband package. BUT once you have done this you will need to change the connection used each time you move from home to work and vice versa. $239,000 isn’t really that much money, so if you can buy an election for so little in Colorado I don’t know why more people don’t do it. Muni networking is generally a fight between network equipment companies on the one side and network operators on the other, so there’s plenty of economic interest in play. Boycott them, plain and simple. As long as we continue to show we cannot do without certain goods and services they will have us by the short and curlies. We have to be prepared to walk away, tell them to take their services and shove it. This is one of the problem we have right now (political rant) – corporations interfering in democracy. Rather than trying to buy votes to prevent competition, the big ISPs should focus on offering better products and services at better prices. The competition would take care of itself. But they can’t because of the short term mentality of management and even the shareholders. Why build out better infrastructure with lower long term maintenance costs when its cheaper to buy into politics? After all, the managers want their annual bonuses and shareholders want to see profits increase right now. Who cares about long term sustainability. I enjoy capitalism and it has worked well for us in the past, but people need to take a longer term look at things rather than try to get the quick profit. Excellent piece, Craig. This kind of thing has been going on pretty much throughout the last decade, though, right? Are these just the latest incarnations, examples, or is there something that differentiates them from what was happening, say, in 2003-4. I recall AT&T blocking similar initiatives in Oregon at that time, and elsewhere. Perhaps the post-financial crisis stimulus spending is the catalyst for what is happening in Longmont. Comcast recently bought out Insight, the 10th largest cableco in US. Are these things related? Yes, though I’ve only have been following closely since ’05. The Longmont situation of a mandated referendum turned into an incumbent spendfest has happened elsewhere. Monticello, MN, St. Paul, MN. The stimulus fueled some of the interest in getting the rights back to build their own solutions, but the Google Gigabit network contest is what really pushed the community into high gear. They felt they were an excellent candidate to win the network, but felt Google passed them by because of the state law.